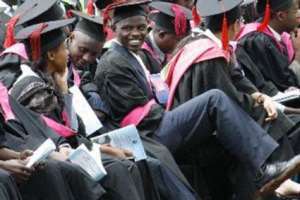 The Board of the World Bank Group has approved $143 million to help Ghana, Burkina Faso, Djibouti, Guinea and Senegal to scale up the quality and provision of applied research and higher education. The International Development Association (IDA) credits and grants were approved on March 27, 2019, with a focus on the areas of science, technology, engineering and mathematics (STEM), said a World Bank press statement. “Africa currently only produces few graduates in STEM compared to other fields, and the development of high-level skills is needed to increase productivity and promote the economic transformation of the continent. With this new project, the World Bank is increasing its total financing for the Africa Centers for Excellence (ACEs) to $456 million, including the previous phases – ACE 1 ($165 million) and ACE 2 ($148 million)— currently operational. Most specifically under the three projects, overall 45 universities in 19 countries are implementing 58 ACEs where a total number of 24,000 students are enrolled, including 10,500 at the Masters’ level and 2,400 at the PhD level. 34 programs are certified to meet international quality standards, thus showing African higher education can meet global standards. The newly-approved First ACE-Impact project will support 16 centres of excellence (ACEs) and two “emerging centres”. Each of the centres is regionally unique and effective in promoting regional specialization.